Kjell Fuxe, M.D., is a Professor of the Division of Cellular and Molecular Neuroscience at Karolinska Institute in Stockholm, Sweden. In 1964, K. Fuxe and A. Dahlström were the first to provide evidence for the existence of catecholamine and serotonin-containing neurons and described their specific localization in the central nervous system by implementing, at that time, revolutionary new fluorescence histochemical technique based on the formaldehyde fluorescence method for the cellular localization of monoamines. 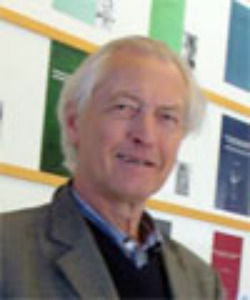 Up to date, Prof. Fuxe has published over 1000 scientific papers and edited numerous books on neuroanatomy, pharmacology and functional aspects of the monoaminergic systems and their interactions with neuropeptides and other neuromodulatory molecules in the central and peripheral nervous systems. In addition, Profs. Fuxe and Agnati and their collaborators have introduced and developed important concepts describing complex neuronal signalling such as volume transmission and receptor-receptor interactions.